It’s no secret, Virizion/Genesect has been my favorite deck to play so far this season. It has given me 140 of my championship points this season, giving me a 1st and 3rd at City Championships, and two Top 32 finishes at Regional Championships. While the deck seems to have fallen out of favor with a lot of players, I think it should still be a strong deck in the XY format. It can easily hit for 70 damage on turn 2 with the introduction of Muscle Band, and it sets up for a turn three 100-120 with Megalo Cannon or even 200 with G-Booster. Any deck that does that consistently in the first three turns of the game shouldn’t be going anywhere unless the format becomes like all fire decks. We all know the strategy of the deck, so I’ll be fairly brief in this write up. Just want to share two concepts I have for carrying the deck into the new format. The first variant of the deck is going to be a more standard version of the deck, something closely resembling versions of the deck that I have been piloting all season long. These versions of the deck have treated me very well, so I think it’s the safer bet of the two variants I’m going to share today. So let’s cover the big change with the deck, and that is the switch from Hypnotoxic Laser and Virbank City Gym to just playing 4 Muscle Band. It’s a little more space efficient, and you don’t need Virbank in play to make use of the extra damage properly. 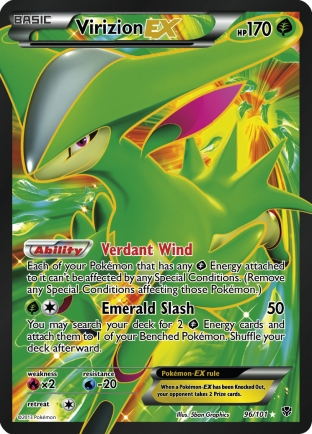 With the increase of Virizion EX seeing play, and a lot of counter stadiums, the Laser combo was somewhat shaky as is. The Muscle Band strategy just helps make the deck more consistent. It hurts a little bit against 180 HP EX’s, as with Laser, you just needed it with either the Emerald Slash or Megalo Cannon to hit 180. 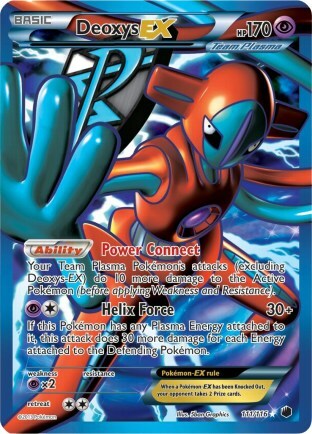 To help remedy this problem, the 1-of tech Deoxys has been re-introduced to the deck to allow you to hit those numbers more easily with Muscle Band. This also helps solve the problem of only hitting for 120 against 130 HP basics like Kyurem and the new Yveltal and Xerneas cards. As we aren’t playing Virbank any more, I’ve cut the Switch from the deck in favor of Skyarrow Bridge. It gives us a stadium to disrupt our opponents, and can have more use than just the one of use for Switch. 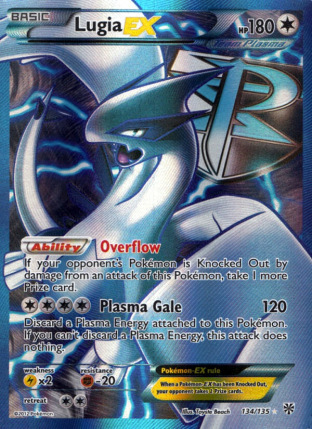 Because we’re playing Muscle Band, I also re-introduced Lugia EX to the deck. Being able to hit for 140 against stuff like Kyurem and Snorlax is too good to pass up. Other than that, not too much has changed with the deck. Just a little bit of re-tweaking going on with the introduction of Muscle Band shaking up the deck a bit. The other version of the deck that might come out of this set is a version that just relies on Megalo Cannon to score OHKO’s against anything. This is allowable because of Muscle Band as well. This is a riskier version of the deck, and space is a lot tighter, but it seems like an idea with a lot of potential. This deck is all about scoring the OHKO. Let’s just break it down. 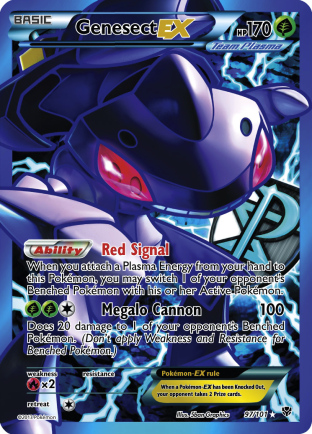 Genesect’s Megalo Cannon does a base of 100 damage. We can raise that to 120 with Muscle Band. It goes up to 150 with Hypnotoxic Laser and Virbank City Gym added to the equation. With two Deoxys EX, we’re hitting for 170 and with three were hitting for 180. With Lugia EX, we have even more options. Lugia EX + Muscle Band is already at 140. With three Deoxys in play, we are able to score OHKO’s on any 170 HP EX’s. All of this new OHKO potential for the deck is in addition to old faithful, G-Booster, which does 200 damage for you. Interestingly enough, you even have the potential to OHKO Mega EX Pokemon with G-Booster and Virbank City Gym with Hypnotoxic Laser. This version of the deck is a lot less consistent than the standard version of the deck, but what it trades in consistency, it gets back in raw power. Being able to OHKO Pokemon without discarding Energy is extremely strong, and this deck does it well. There isn’t too much else to say about this deck, given that it’s not a new one and just a reworking of an existing deck. 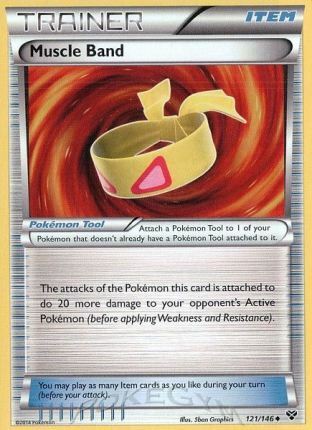 I hope this article provided you some good groundwork for building the deck in the XY format. 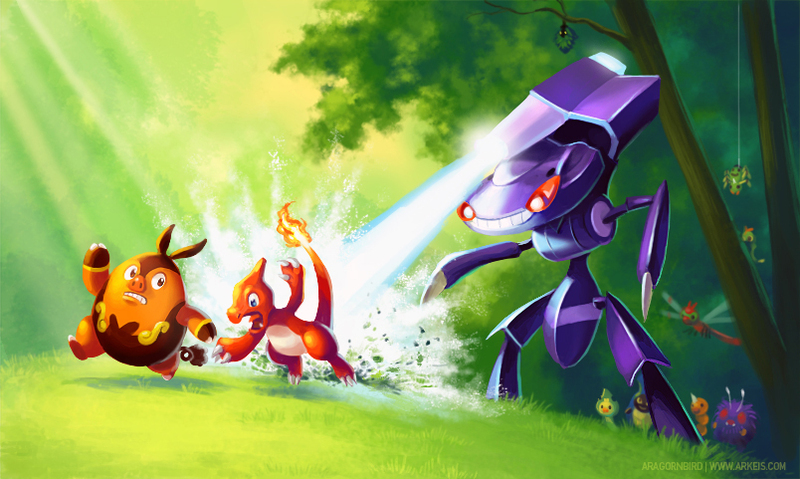 If you’re considering Virizion/Genesect for State Championships, just make sure to know the meta game. The deck will always have a tough time in a meta game full of Emboar decks, and Spiritomb can make life difficult for you as well. If there isn’t a lot of Emboar in your meta game though, I think Virizion/Genesect is still a really solid play.